There are several items that creationists tend to post involving certain worldwide legends, such as stories of dragons and tales of global floods in numerous cultures (including the Epic of Gilgamesh). I don't rightly recollect seeing much about constellations around the world, though. It's easy to imagine people laying in the grass or a field on a dark night and picking out stars to make constellations — you may have done it yourself. So it's somewhat puzzling to hear speculations about where the constellations originated. Many star patterns are common to widely separated people groups since ancient times, but according to evolutionists, the people evolved in different localities. The mysterium tremendum of convergent evolution is invoked in lieu of actual science to explain this puzzler. Darwinists are inadvertently admitting they have no idea why diverse cultures have many of the same constellations. Biblical creationists have a better explanation for observed facts, but naturalists reject it out of hand: post-Flood people at Babel were dispersed, and many took their pagan beliefs with them. 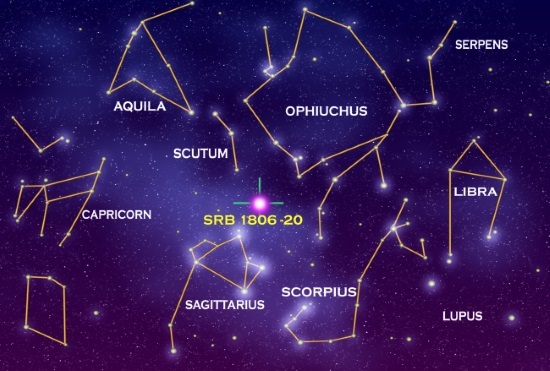 There are deep similarities among diverse cultures in their constellations. The similarities stem from an origin at least as remote as the dispersion from Babel, and vastly pre-date cross-cultural missionary outreaches of recent centuries. Cultural differences in constellations have resulted from distinct developments in various people groups since the dispersion from Babel. Constellations appear to contain memories (in corrupted form) of ancient historical events such as the Flood, but evidence does not support the claim that the constellations were a kind of primeval revelation, a ‘gospel in the stars’. To read the rest, click on "Constellations: legacy of the dispersion from Babel".